Rembrandt in the National Gallery of Art [Commemorating the Tercentenary of the Artist's Death], National Gallery of Art, Washington, D.C., 1969, no. 90, 66. 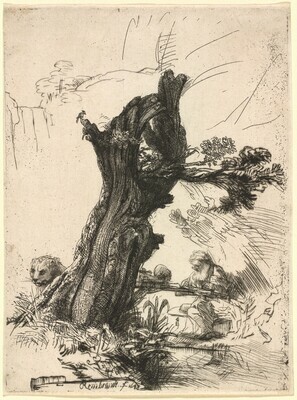 Imitation and Invention: Old Master Prints and Their Sources, National Gallery of Art, Washington, 1995, as Saint Jerome by the Pollard Willow. The New Hollstein Dutch & Flemish Etchings, Engravings and Woodcuts, 1450-1700. Rotterdam: Sound & Vision Interactive, 1993: no. 244, iii/iv.